Cleavon Jake Little (June 1, 1939 – October 22, 1992) was an American stage, film, and television actor. He began his career in the late 1960s on the stage. In 1970, he starred in the Broadway production of Purlie, for which he earned both a Drama Desk Award and a Tony Award. His first leading television role was that of the irreverent Dr. Jerry Noland on the ABC sitcom Temperatures Rising (1972–1974). While starring in the sitcom, Little appeared in what has become his signature performance, portraying Sheriff Bart in the 1974 Mel Brooks comedy film Blazing Saddles. In the 1980s, Little continued to appear in stage productions, films, and in guest spots on television series. In 1989, he won a Primetime Emmy Award for his appearance on the NBC sitcom Dear John. He later starred on the Fox sitcom True Colors (1991–1992). Little was born in Chickasha, Oklahoma. He was the brother of singer DeEtta Little, best known for her performance (with Nelson Pigford) of the vocals on the chart-topping Bill Conti song "Gonna Fly Now", the main theme to Rocky. He was raised in California, graduating in 1957 from Kearny High School and attended San Diego City College, and then San Diego State University, where he earned a bachelor's degree in dramatic arts. After receiving a full scholarship to graduate school at Juilliard, he moved to New York. After completing studies at Juilliard, Little trained at the American Academy of Dramatic Arts. Little made his professional debut in February 1967, appearing off-Broadway at the Village Gate as the Muslim Witch in the original production of Barbara Garson's MacBird. This was followed by the role of Foxtrot in the original production of Bruce Jay Friedman's long-running play Scuba Duba which premiered in October 1967. The following year, he made his first film appearance in a small uncredited role in What's So Bad About Feeling Good? (1968), and his first television appearance as a guest star on two episodes of Felony Squad. A series of small roles followed in films such as John and Mary (1969) and Cotton Comes to Harlem (1970). Little made his Broadway debut in 1969 as Lee Haines in John Sebastian and Murray Schisgal's musical Jimmy Shine with Dustin Hoffman in the title role. In 1970, he returned to Broadway to portray the title role in Ossie Davis's musical Purlie, for which he won the Tony Award for Best Actor in a Musical and the Drama Desk Award for Outstanding Actor in a Musical. A year later, Little was hired as an ensemble player on the syndicated TV variety weekly The David Frost Revue and he portrayed Shogo in Narrow Road to the Deep North on Broadway. In 1971, Little was chosen to portray the blind radio personality Super Soul in the car-chase movie Vanishing Point. The same year, he played Hawthorne Dooley in the pilot for The Waltons called "The Homecoming: A Christmas Story", helping John-Boy Walton search for his father; then again in season four, in an episode called "The Fighter", about a prizefighter who desired to build a church and be a preacher. He also played a burglar in a 1971 episode of All in the Family titled "Edith Writes a Song". He then starred on the ABC sitcom Temperatures Rising, which aired in three different iterations from 1972–74, with Little's character of Dr. Jerry Noland as the only common element. In 1974, he starred in the television disaster film The Day the Earth Moved, opposite Jackie Cooper and Stella Stevens. He was also cast as Sheriff Bart in the comedy film Blazing Saddles (1974), after the studio rejected Richard Pryor, who co-wrote the script. Studio executives were apparently concerned about Pryor's reliability, given his reputation for drug use and unpredictable behavior, and thought Little would be a safer choice. 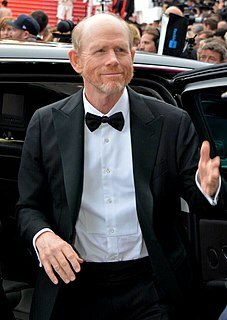 This role earned him a nomination for the BAFTA Award for Most Promising Newcomer to Leading Film Roles. In 1975, Little returned to Broadway to portray the role of Lewis in the original production of Murray Schisgal's All Over Town under the direction of Dustin Hoffman. The following year, he appeared as Willy Stepp in the original production of Ronald Ribman's The Poison Tree at the Ambassador Theatre. He played a supporting role to Richard Pryor in the racing movie Greased Lightning (1977), based on the true life story of Wendell Scott, the first black stock car racing winner in America. In the years after Blazing Saddles, Little appeared in many less successful films, such as FM (1978), Scavenger Hunt (1979), The Salamander (1981), High Risk (1981), Jimmy the Kid (1982), Surf II (1984) and Toy Soldiers (1984). He also made guest appearances on The Mod Squad, The Rookies, Police Story, The Rockford Files, The Love Boat, Fantasy Island, ABC Afterschool Specials, The Fall Guy, MacGyver, The Waltons, and a special Christmas episode of ALF. 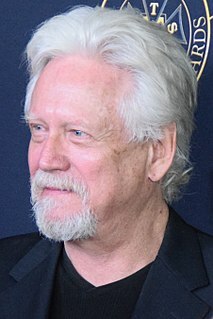 He co-starred opposite Lauren Hutton and Jim Carrey in the horror comedy Once Bitten (1985). He returned to the New York stage in 1981 in the off-Broadway production The Resurrection of Lady Lester, a "poetic mood song" by OyamO, playing the legendary jazz saxophonist Lester Young. In 1985, Little returned to Broadway to appear as Midge in Herb Gardner's Tony Award-winning play I'm Not Rappaport, reuniting with Dear John star Judd Hirsch in New York and later on tour. The Broadway cast also featured Jace Alexander and Mercedes Ruehl. In 1989, he had a role in Fletch Lives, the sequel to Fletch (1985). The same year, he appeared in the Dear John episode "Stand by Your Man", for which he won the Primetime Emmy Award for Outstanding Guest Actor in a Comedy Series, defeating Robert Picardo, Jack Gilford, Leslie Nielsen, and Sammy Davis, Jr.
Little was slated to star on the television series Mr. Dugan, where he was to play a black congressman, but that series was poorly received by real black congressmen and was cancelled before making it to air. In 1991, he replaced Frankie Faison as Ronald Freeman, a black dentist married to a white housewife, on the Fox sitcom True Colors. The same year, he also had a supporting role on the television series Bagdad Cafe, appearing in 12 episodes. Later that year, he was cast as a civil-rights lawyer in the docudrama, Separate but Equal, starring Sidney Poitier, who portrayed the first black U.S. Supreme Court Justice, Thurgood Marshall, NAACP lead attorney in the 1954 Supreme Court case desegregating public schools. He also appeared in the television series MacGyver as Frank Colton, half of a bounty hunter brother duo. Little's last appearance as an actor was in a guest role on a 1992 episode of the television series Tales from the Crypt entitled "This'll Kill Ya". Eleven years after his death, he appeared in the music video for "Show Me How to Live" by Audioslave, through archive footage from Vanishing Point. Often afflicted by ulcers and general stomach problems throughout his life, Little died of colorectal cancer at his home in the Sherman Oaks area of Los Angeles on October 22, 1992. His body was cremated and the ashes were scattered into the Pacific Ocean. His death certificate, however, states they were scattered in New York harbor. For Little's contribution to motion pictures, he was posthumously honored with a star February 1, 1994, on the Hollywood Walk of Fame. The star is located on the south side of Hollywood Blvd., near El Cerrito Place. Goin' to Chicago (1991) – Edward Sr.
^ "1957 Kearny High School Yearbook Online, San Diego CA". Classmates.com. Retrieved 14 July 2014. ^ "Biography: Cleavon Little". Allmovie. Retrieved 2008-06-07. ^ The 50th Annual Primetime Emmy Awards (1989). Retrieved 2018-02-24. ^ "Cleavon Little, Award-Winning Actor, Dies at 53". The New York Times. October 23, 1992. Retrieved 2010-10-28. Cleavon Little, the actor best remembered for his role as a black sheriff hired to save a redneck town in Mel Brooks's 1974 comedy Blazing Saddles, died yesterday at his home in Sherman Oaks, Calif. He was 53 years old. He died of colon cancer, said David C. Pollick, his publicity agent in Los Angeles. ^ "Cleavon Little | Hollywood Walk of Fame". www.walkoffame.com. Retrieved 2015-11-11. ^ "Cleavon Little - Hollywood, CA - Citizen Memorials on Waymarking.com". www.waymarking.com. Retrieved 2015-11-11. Paul Edward Winfield was an American television, film and stage actor. He was known for his portrayal of a Louisiana sharecropper who struggles to support his family during the Great Depression in the landmark film Sounder (1972), which earned him an Academy Award nomination. He portrayed Martin Luther King Jr. in the 1978 television miniseries King, for which he was nominated for an Emmy Award. Winfield was also known for his roles in The Terminator, Star Trek II: The Wrath of Khan, and Star Trek: The Next Generation. He received five Emmy nominations overall, winning for his 1994 guest role in Picket Fences. Werner Klemperer was a German-American stage entertainer, actor, and singer. He was best known for the role of Colonel Wilhelm Klink on the CBS television sitcom Hogan's Heroes, for which he won the award for Outstanding Supporting Actor in a Comedy Series at the Primetime Emmy Awards in 1968 and 1969. Richard Gautier was an American actor, comedian, singer, and caricaturist. He was known for his television roles as Hymie the Robot in the television series Get Smart, and Robin Hood in the TV comedy series When Things Were Rotten. 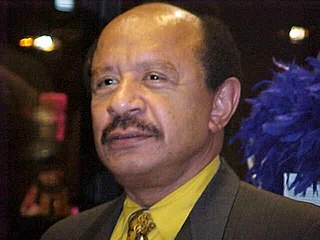 Sherman Alexander Hemsley was an American actor, best known for his roles as George Jefferson on the CBS television series All in the Family and The Jeffersons, Deacon Ernest Frye on the NBC series Amen, and B.P. Richfield on the ABC series Dinosaurs. For his work on The Jeffersons, Hemsley was nominated for a Golden Globe Award and an Emmy Award. He also won an NAACP Image Award. Michele Lee is an American actress, singer, dancer, producer and director. She is known for her role as Karen Cooper Fairgate MacKenzie on the 1980s prime-time soap opera Knots Landing (1979–93), for which she was nominated for a 1982 Emmy Award and won the Soap Opera Digest Award for Best Actress in 1988, 1991 and 1992. She was the only performer to appear in all 344 episodes of the series. David Lynn Selby is an American film, television and stage actor. He is best known for playing Quentin Collins in the daytime soap opera Dark Shadows (1968–71), and Richard Channing in the prime-time soap opera Falcon Crest (1982–90). Selby also had prominent roles in the television series Flamingo Road (1981–82), and the feature film Raise the Titanic (1980). Also a published writer, Selby has written several books including novels, memoirs, and collections of poetry. Daniel Patrick Harrington Jr. was an American voice, stage, and television actor, best known for his role as building superintendent Dwayne Schneider on the sitcom One Day at a Time. His father Pat Harrington Sr. was also an actor. Paul R. Jenkins was an American actor. Though he made appearances in films such as Network and Chinatown, Jenkins was best known for his television work, which included roles in M*A*S*H, Columbo, The Rockford Files, Lou Grant, Kojak, The Partridge Family, and Starsky and Hutch.